UNILAG - MAULAG: What is in a name? I have tried hard to refrain from saying anything about this UNILAG/MAULAG 'ish', but it is just not working... I have to say something! 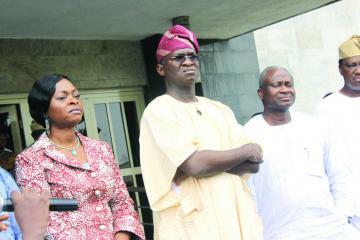 I don't particularly care much for the renaming of UNILAG. I must have been in Secondary School when NEPA was renamed PHCN; today - almost everyone refers to them as NEPA! The University of Ife was renamed Obafemi Awolowo University in 1987, before I was born; today, I refer to myself as a graduate of 'Ife' - reserving the name 'Obafemi Awolowo University' for my resume and job interviews. Last I checked, we were still human - creatures of habit - such name changes just don't stick! I mean, Mr. President gives a speech on the first year anniversary of his election (about two years since he has been in office) - and the only thing Nigerians can take away from his speech is the name change! The Distraction Committee must all be on vacations to Las Vegas for a job well done... They got us! Insecurity has grown wings... There is still no light, despite the various promises made since 1986... The cost of doing business continues to rise by the day... The number of unemployed youth has never been larger... Foreign nationals dare not go out in many cities without police escorts, and yet - kidnappings are on the rise... The roads have never been worse... And Mr. President has the presence of mind to rename a Federal University!!! You've got to be kidding me. The new name does not guarantee UNILAG graduates any more jobs on graduation... It does not provide them direly needed funding and power to start their own businesses... It does not improve their status in foreign embassies... It does not change anything! We need to grow up as a country... Or these guys will take us on a ride till the end of time... Imagine Obama renaming a University during a State of the Union address... Go figure! May God make you bigger! 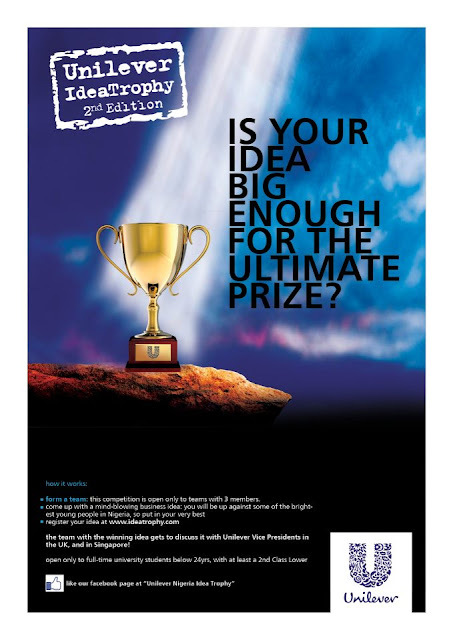 Unilever Nigeria's IdeaTrophy competition is now in its second edition. Form a team: this competition is only open to teams with 3 members. come up with a mind-blowing business idea; you will be up against some of the brightest young people in Nigeria, so put in your very best. register your idea at www.ideatrophy.com. The winning team gets to discuss it with Unilever Vice Presidents in the UK and in Singapore! Open only to full-time University students below 24yrs, with at least a 2nd Class Lower. I read today that the acting Inspector General of Police, M. D. Abubakar, is advocating a wage increase for Nigerian policemen. In my opinion, this is a good move. Nigeria needs to restore dignity to the profession of policing. Educated young men and women considering a career in the Police Force need to be assured of a respectable quality of life. They need to know that they will be able to afford decent housing, a respectable school for their kids, and an overall good quality of life. "Life has a practice of living you, if you do not live it". When do you wake up? What do you splurge on? What do you do with your leisure time? How many hours do you spend messaging and using Twitter? How much do you save? "Do not save what is left after spending, but spend what is left after saving." "People invariably do the very opposite of what is best for their personal wealth creation." On the other hand, saving before spending ensures that earlier-set targets are met, conscious choices are made about spending, and more value is demanded per Naira spent. As we approach a month end (with the attendant salary disbursement), remember to take out your savings first (after your tithe of course) - and to make sure your savings are safe from you. 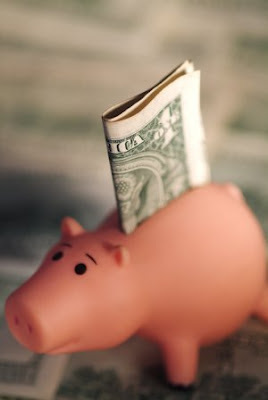 You may read my earlier financial article about escrow accounts here. So I finally found a Youtube link to Yekini's famous goal... RIP Yekini. I read this morning that Jonathan signed into law a bill enabling University professors to retire at 70. This was one of ASUU's major demands, as it is a quick-fix to a problem that runs even deeper, but I think otherwise... Nigeria seems to have a fixation with treating symptoms - and not fighting the underlying causes of her problems. Problem: Many professors (those that manage to stay in Nigeria) are retiring and we are having increasingly fewer professors in our Universities. Solution: increase retirement age so that they can serve for 5 years longer. In my opinion, this is not very wise. In my opinion, we do not need older professors to lecture for longer, we need younger people who are knowledge-driven to become professors. Nigeria needs to make a life of academia attractive. Students considering a PhD need to know they will maintain a similar quality of life in the future as their colleagues who choose careers in oil companies. PhDs need to be respected, and they should be granted opportunities outside of the classroom to contribute to societal development. If we do not strike at the root-causes, we might be surprised to have ASUU go on strike in another 5 years for the retirement age to be increased to 75. 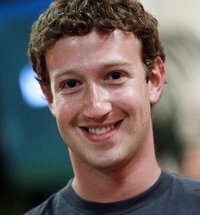 Mark Zuckerberg turns 28 today. I couldn't quite believe that when I saw it on a friend's wall, so I did a quick double-check on his Wikipedia page. It is quite impressive that in those 28 years, he has given the world its foremost social networking tool: reconnecting long-lost friends and re-defining sharing and communication. Yes, and did you know he was Time Person of the Year in 2010? It is of little consequence that he has amassed great personal wealth in the process (a whooping $17.5 billion) - he still strikes me as the kind of guy that would do what he does without the money. 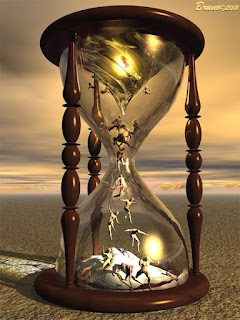 Evidently, the length of our lives is not the point. 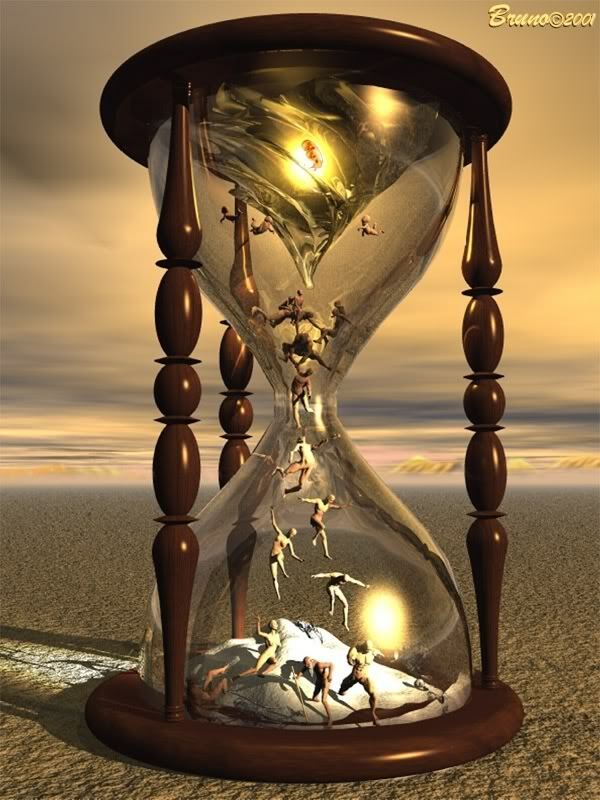 What we do with the time we have is all that matters. Bill Gates, Donald Trump, Barack Obama, Mark Zuckerberg, and you (yes, you) all have one thing in common - 24 hours a day. What do you do with your own 24 hours? "Every morning in Africa, a gazelle wakes up. It knows it must run faster than the fastest lion or it will be killed... Every morning a lion wakes up. It knows it must outrun the slowest gazelle or else it will starve to death. 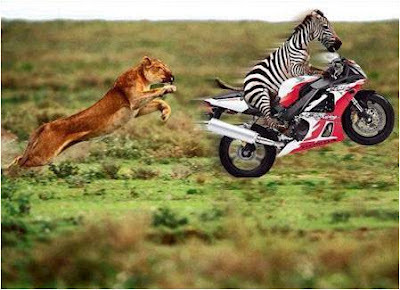 It doesn't matter whether you are a lion or a gazelle... When the sun comes up, you'd better be running." Now, read that again...and think about it. May we all have wonderful weeks. Drug that prevents HIV to be recommended for approval? "...Patrick Okoroafor was fourteen years old when he was arrested in May 1995 and arraigned for robbery, a crime he said he never committed. The police later charged him and six others. According to Okoroafor’s brother, the police used pliers to pull out his teeth and he was hanged and beaten while he was in their custody. The brother said: “Patrick only went to the police station because the police wanted to inspect a car our mother had bought from one of the other suspects. That is when they arrested him. We tried to get him released, but the police refused..."
Stories like this make me afraid to walk Nigerian streets at night, or visit a Police Station for whatever reason. I have heard similar stories so many times that I have developed a rather healthy fear of the Nigerian Police Force. I have also had a close encounter of my own. I have heard of guys who were arrested in their rooms, and labelled armed robbers on getting to the police station. I have heard of guys who refused to pay bribes and were dragged to police stations, only to be lumped with seasoned criminals and actual murderers. I have a friend who was arrested outside his home and taken to a police station, where he was made to take pictures with six other guys; the next day, they were labelled armed robbers in a newspaper. I have a simple principle these days... I never stay out late, and I do all in my power to avoid police trouble. In the event that I am stopped while driving, I am so respectful to policemen - you would think they paid my fees through University. I avoid areas where 'gangs' are known to hang out, and I generally dress and walk smartly when I have to pass through trouble-spots. Till further notice, if you live in Nigeria - I advice that you do likewise - and trust God to protect you always. Read the story of Patrick Okorafor, who was sentenced to death at 16 for armed robbery, a crime he supposedly committed at 14 here. To read about how officers of the Nigerian Police stormed my hostel room at night and arrested two roommates who were working with laptop computers, labeling them 'Economic Fraudsters' - please follow the link. In my estimation, the job of keeping streets clean involves two broad approaches. One is to actually clean the streets by providing street cleaners, neighborhood collection centers, and trucks to remove accumulated refuse. 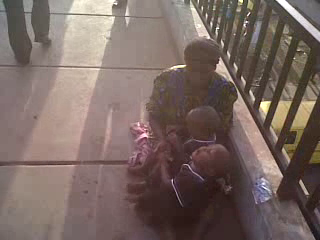 The other is to sensitize the public, and keep them from dropping refuse around indiscriminately. The first LAWMA does excellently, the second - they could do better. It is not enough to have waste-bins when people will drop their sachet-water nylons and La Casera bottles around indiscriminately. It is not enough to have neighborhood collection centers when people will drop their waste everywhere around the metal bin - but not actually inside it. It becomes necessary to spend a little more on creative TV and radio adverts to provide orientation to the public. Plus, it starts with every one of us. Next time you buy La Casera in traffic, hold on to the bottle until you can dispose of it in a proper waste-bin - as opposed to throwing it on the road. Next time you take a sachet of water on the go - neatly fold the sachet into your bag or purse - until you can dispose of it properly. 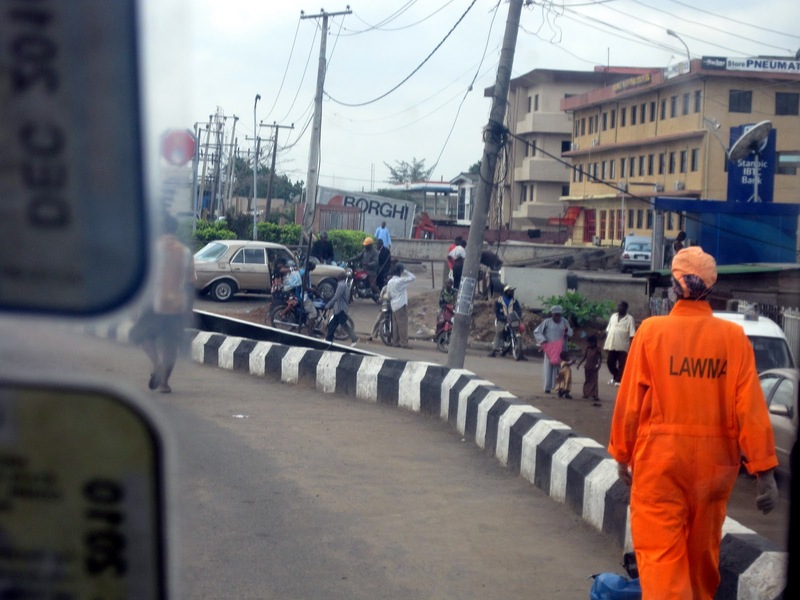 LAWMA does an excellent job at cleaning our streets, we can help them to keep the streets clean. LAWMA is the LAgos State Waste Management Authority. They have an excellently designed website which may be found here. I am not sure of the details of the case, and so will not comment - but I have a question: where does the State Government plan to recruit over a thousand highly-trained professionals from over the next few weeks? 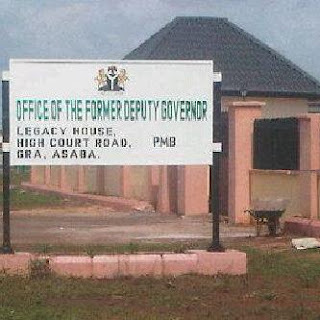 Office of the Former Deputy Governor??? 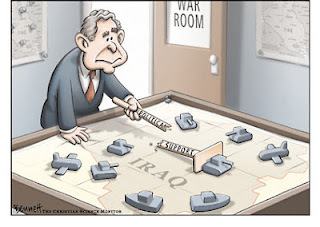 There is no other way to put it; you are now a war president. Very few presidents have such opportunities to prove their mettle. The enemy has sustained a senseless bombing campaign where nothing is sacrosanct anymore in your country. It's a tough situation to be in, but men who have led their countries during wars have one heart and two balls like you. It is not the easiest situation; but as a mouth finds its teeth, so shall it accommodate them..."
Read the full letter here on the Daily Times blog. Me: Good morning ma. How are you and the twins today? Her: Good morning to you too. Who are you and where are you from? (ta leyin o, ibo le de ti wa). Me: I'm just a regular boy, a concerned 'neighbor'. I have been noticing you on the bridge for a while now, and you were not here yesterday - so I thought to ask if you are alright. Her: We are fine. God is taking care of us. (olohun n toju wa). Her: I don't know your face. Do you (usually) give me money? How did you notice I was not here yesterday? Me: Ehm, I sometimes give you money. Her: Ehn, so why are you talking to me? Are you going to give me money today or not? Me: I was just concerned. I wanted to be sure you were fine. Her: Your concern will not pay the bills. In fact, it is not appreciated. Oya start going. Me: Ehm, please. I will give you some money, but I want to talk to you first. "The initial premise of this article is that human reproduction is a commodity which must be regulated. I think this is flawed because it reduces the dignity of the poor. You saying in essence, "You're poor. You don't deserve to have children." "It means more people at the bus-stop jostling for the few buses. It means more students writing JAMB to get into the few universities. ..."
This is rather pessimistic. Do you honestly think that the problems we have with the bus-system boil down to the number of commuters at the bus-stop? 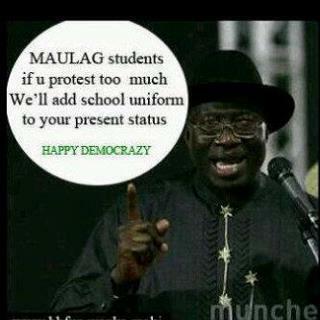 Or the problem of education lies with the fact that too many people are writing JAMB? In engineering, there's a tool called Root Cause Analysis. It helps to solve problems from their root causes rather than attacking the symptoms. A symptom: People fighting at bus stop. The cause: Not enough buses coming at regular intervals. The solution: Put more buses on the road. 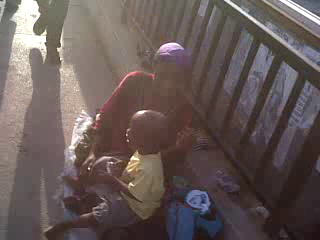 Above are some of the pictures I took during my 'amebo' quest to understand the high rate of population growth among lower-income and unemployed people in Nigeria. 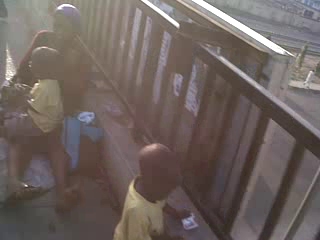 Isn't this plain unfair to these children? I am sorry, you hear? You will have them soon. Nigerians not fit to be houseboys? Have you noticed the practice of certain expatriates in Nigeria? They come to work in Nigeria, and bring along their cooks, gardeners, and in the worst case I discovered recently - barber. I mean, how can you 'import' your barber from India? Why? No Nigerian barber is good enough? "MTN is a major investor in Nigeria, but apart from the ‘savage survivalism’ of selling recharge cards, how many real jobs has it created, and at what cost in terms of capital flight? Is MTN listed on the Nigerian Stock Exchange? Most Foreign Direct Investment (FDI) in Nigeria goes to the oil sector. How many Nigerians are employed in the petroleum industry and how much real value has it added to the Nigerian economy? Who regulates the activities of foreign investors? A cursory look clearly shows that many so-called foreign investors are taking advantage of lax regulators to carry out practices they cannot dare attempt elsewhere. A few examples would illustrate this point."